These past few years of running my own design business have been challenging, rewarding and very eye-opening. I’ve learned a lot about the nature of myself, and the nature of running my own design studio. Now, as I’m entering my 4th year of going solo, I’m making 2015 a brand new adventure. In addition to moving my home and studio to a new town, I’m also excited to share with you the next phase, and a new name, for Ted Rouse Creative. Why I’m making this change. Since going solo full-time, I’ve worked under my own name. While this was nice for personal visibility and fit the romantic notion that I had of what being a “freelancer” meant, I have come to find it has limited the opportunities for me to market and grow my business the way I wanted, to include other people, and explore new methods. I knew it was time to try something new (or old, as the case may be). 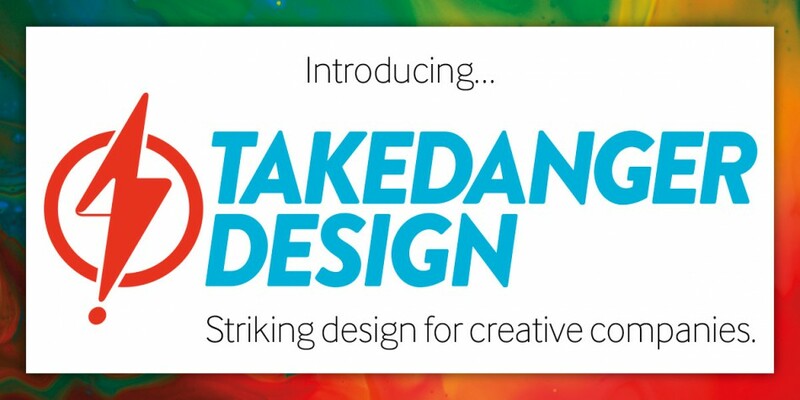 Those of you who have known and been working with me for a while may remember Takedanger Design as my trade name before making the move to running my studio as a full-time endeavour. While it might seem a little counter-intuitive to be returning to a name I thought I had left behind, these last few years have inspired me to re-examine my priorities in running a business and re-discover the excitement and potential within the name. While there’s a fancy new (old?) name, it’s still just me around here for now. My methods and beliefs remain the same: focusing on client goals, communicating ideas clearly, and making the world a more colourful place! I’m looking forward to seeing where this journey takes me next, and I’m looking forward to bringing you all all along with me! Please visit my newly launched site at takedanger.com and contact me at my new work email at ted@takedanger.com. Let’s create something striking together!